Exer More Than Urgent Care team alongside Canyon Country community and officials. 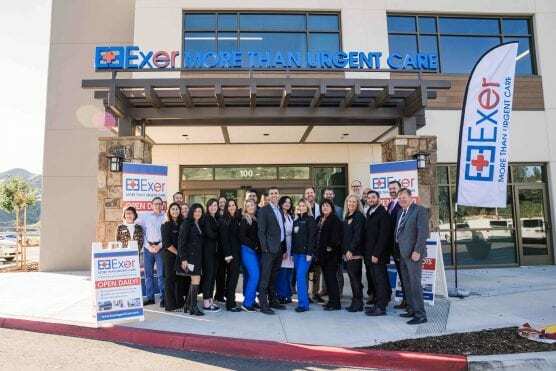 Exer More Than Urgent Care opened a new medical center on Soledad Canyon Road near CA-14 Exit 11 on Wednesday, as part of a partnership with Facey Medical Group to expand medical services in the Santa Clarita Valley. With ten locations in Southern California, Exer staffs each facility it operates with ER Doctors and provides patients with more comprehensive medical services than typical urgent care centers.